A teenager died and several other people were injured when a man running from an earlier crash drove through a red light. 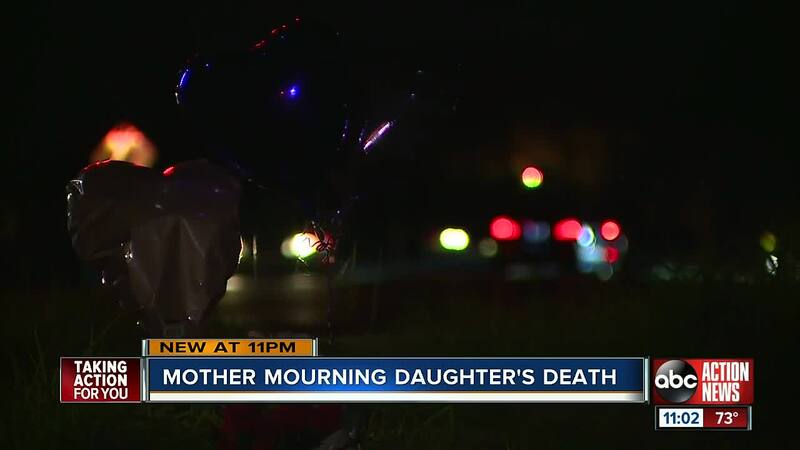 BRADENTON, Fla. — A teenager in Manatee County was killed and several other people were injured Saturday night when a man running from an earlier crash drove through a red light, according to Florida Highway Patrol. Victoria Mobley, 18, was driving southbound on 27th St E in Bradenton when her vehicle was hit around 11:30 p.m. Mobley and her passenger, 18-year-old Nauryn Laws, were both ejected, FHP says. Mobley was killed in the accident. Laws was taken to Blake Medical Center and has been released from the hospital. Ruth Mobley, Victoria's mother, said her daughter was a senior at Manatee High School. She was planning for prom and had dreams of becoming a nurse. "Victoria was a very outgoing person, very happy. She really lived her life to the fullest," said Ruth Mobley. FHP said a 23-year-old driver recklessly drove through a red light while running from an earlier crash. He was driving westbound on 26th Ave E.
The 23-year-old driver was taken to Blake Medical Center following the crash. He is currently in critical condition. A 13-year-old and a 17-year-old who were in his vehicle were also injured, according to FHP. The younger of the two is in critical condition at Bayfront Medical Center. The 17-year-old received minor injuries and was also taken to Bayfront. Mobley's vehicle overturned and struck a wooden power pole, the FHP report says. "They were heading to get some wings. They were playing the Gospel music and just riding down the road. All of a sudden this guy comes out of nowhere smashed into the truck, the truck flipped over and went into the pole. Victoria's body was ejected out of the vehicle. " said Ruth Mobley. Ruth Mobley said her faith allows her to forgive the driver who caused the crash. "I know that those involved may be feeling really bad this situation and they should,but we forgive the person that did this to our child. We forgive the whole situation," said Mobley. The crash remains under investigation. We are not naming the 23-year-old driver because he has not been charged. An FHP spokesperson said charges are pending.